I loved the vibe of The Red Bandana Bakery as soon as I stepped in. The walls are bright and cheerful and the cafe is cozy and homey. 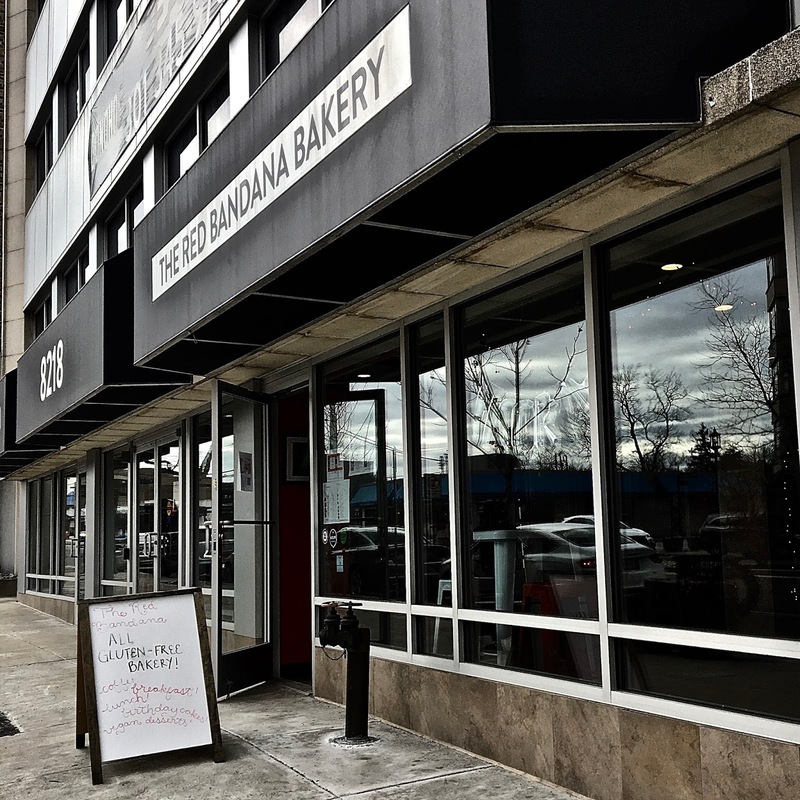 The bakery was a perfect antidote to a gray, wintery Sunday, and I was glad decided to make the trek over to it by bus and Metro rail. While everything in the bakery is gluten-free, other allergens are present. However, the staff members are super knowledgable about what is and is not safe, and more often than not dairy-free and vegan options are marked on the display case and menu. Their website also proclaims that they specialize in accommodating multiple restrictions, so I recommend dropping them a line or giving them a call if you are looking for something specific. Before loading up on sweets, I decided I was going to go down the breakfast route, so I ordered a mint tea latte with almond milk, which totally hit the spot and warmed up my frozen fingers. It wasn't super sweet, which I liked because it let the mint flavor shine through. I decided to order avocado toast for my breakfast. After all, how often can I order this at a restaurant?! Sometimes with being gluten-free it's the little things. I decided to order mine of their adorable mini bagels to up the cuteness factor, but there was a bit of a mix up and the toast originally came out on their regular bread. 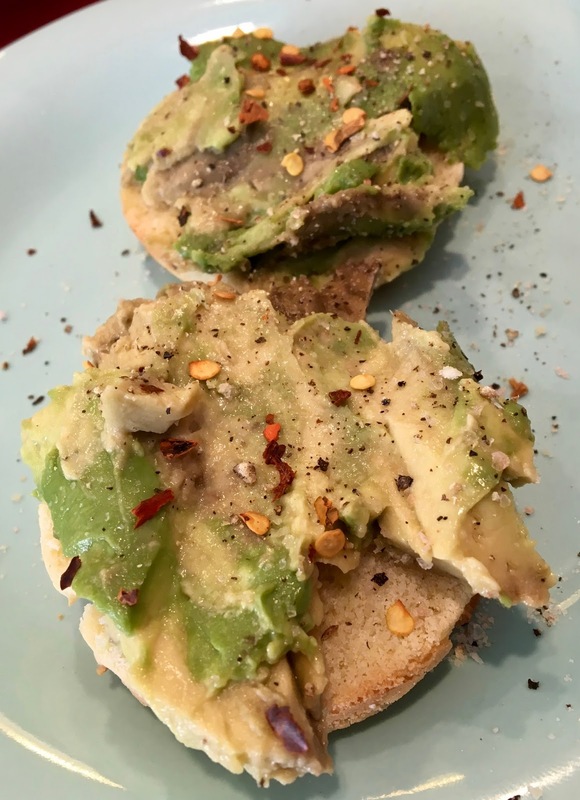 I wouldn't have minded that, except it was a little crumbly and messy to eat, so after one bite I asked if it was possible to remake it on the bagels. The second round of avocado toast was the charm, as the cute bagels held their own and provided a better texture for toast. Smashed avocado was beautifully dressed with red pepper flakes and salt (definitely an upgrade from my usual "plain jane" toast) and I liked how the size of each bagel half was big enough for several bites but was not too big. It had an authentic bagel-y flavor, and chewy texture, which won me over. Now that I was finished with breakfast, it was time to let my sweet tooth call the shots. 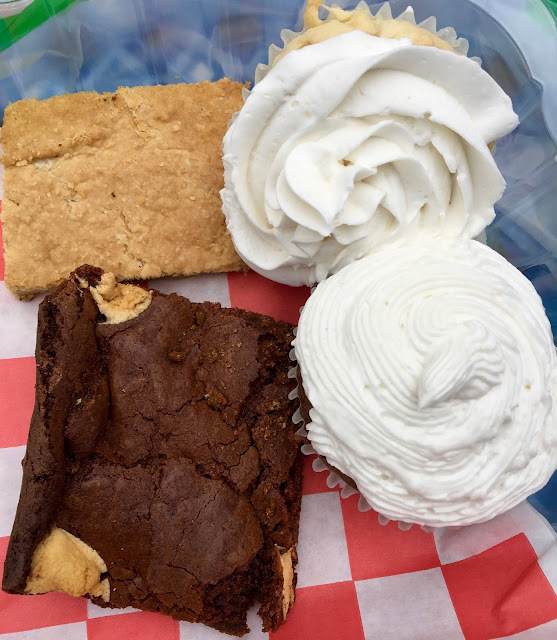 After scoping out what was dairy-free, I came home with an assortment baked goods: two cupcakes, a blondie, a campfire brownie, and a garlic herb roll. 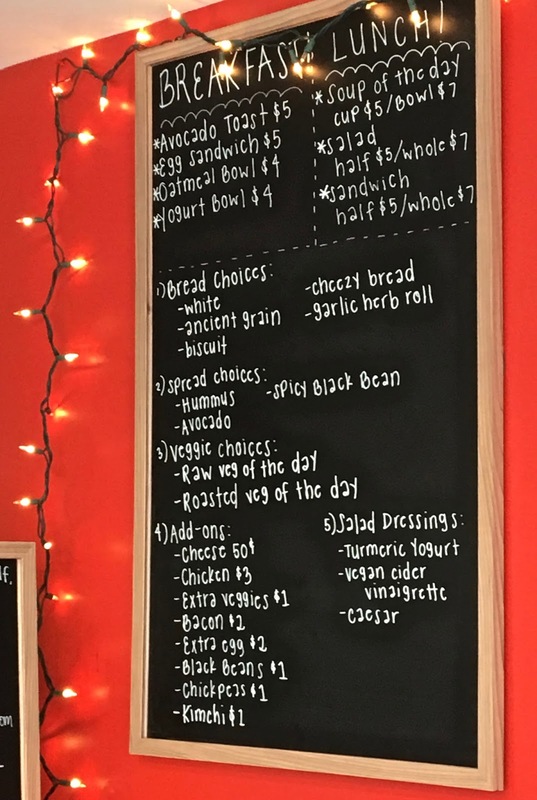 As gluten-free goods go, they were priced relatively affordably- my total was under $14 for all five items (incl. tax). The first cupcake I tried lasted only the bus/rail ride home where my willpower promptly ran out! Normally I am not a huge chocolate cake person, but for some reason I had a major craving for a chocolate cupcake. The cake itself was dense, decadent, and sticky, with rich chocolate flavor and enough sweetness to satisfy but not send you into a sugar shock. The icing was a little soft, but was the perfect complement to cut the richness of the cake with a vanilla creaminess. 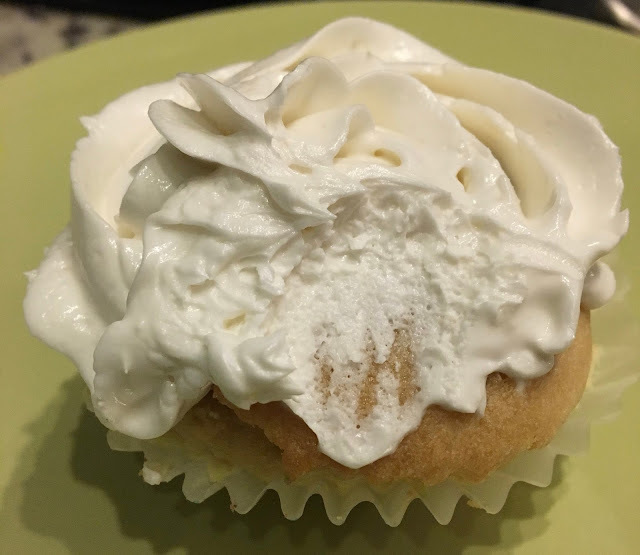 Later that day (and as a comparison test... for science's sake) I sampled the vanilla cupcake, which was unable to outrank it's chocolate cousin. The cake was a bit drier than it's counterpart, but still had a golden vanilla-y flavor. 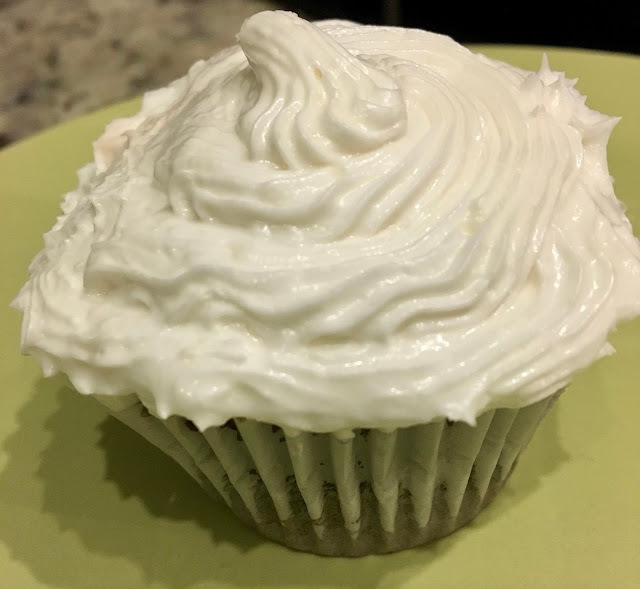 The creaminess of the frosting was good too, and the two vanilla flavors were delicious. Again, The Red Bandana Bakery hit a "Goldilocks" level of sweetness- not too much, not too little... just right! 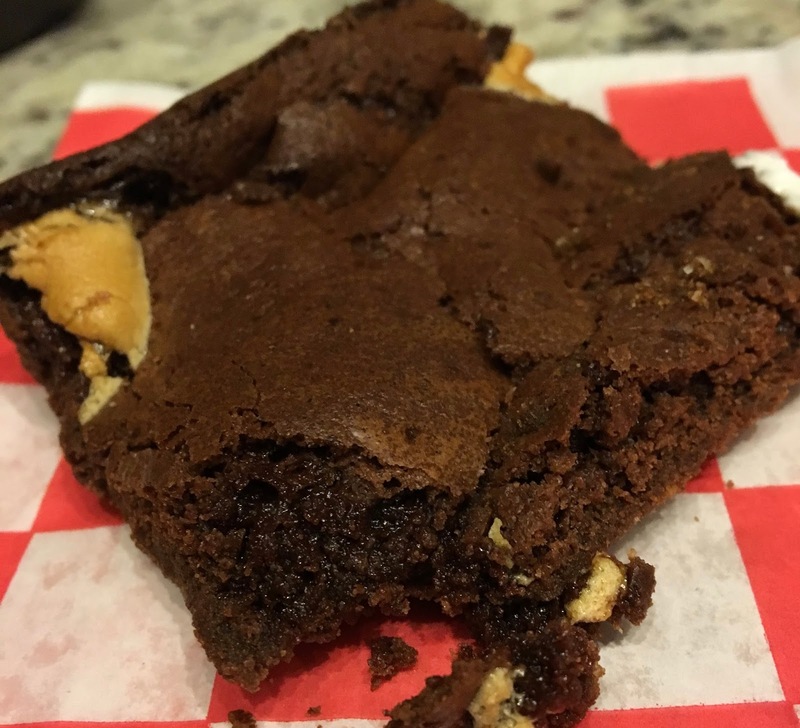 My favorite of the bunch was the campfire brownie, which was an ultimate upgrade to an already decadent brownie. Delightful marshmallows added a sticky sweetness that perfectly captured the essence of homemade s'mores. The slice I purchased was an edge (of the pan) slice, which is even better in my book, because the center was more dense and sticky while the edge was more well done and cake-like. 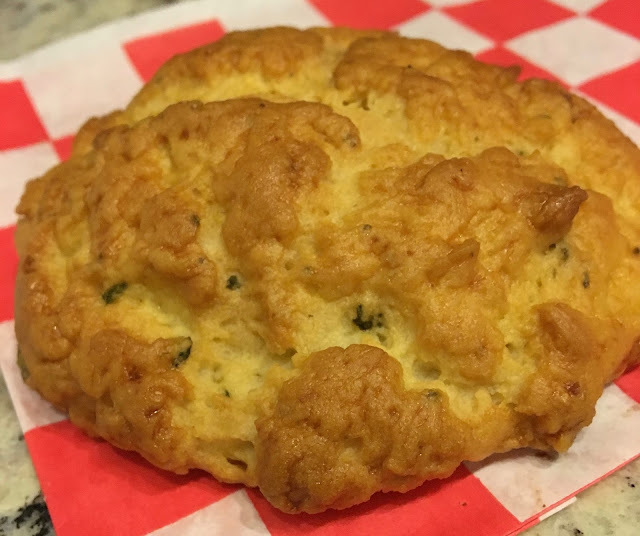 In the future I will never leave The Red Bandana bakery without one (or two) of these to-go! 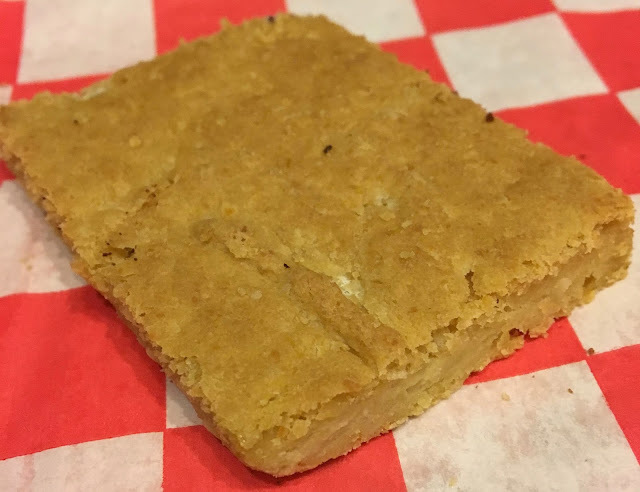 The blondie I selected was made with chickpeas as a main ingredient, and was one of the Red Bandana Bakery's vegan options. Evaluating it after the rockstar campfire brownie is a bit unfair, because this sweet has less of a wow factor than the other. It's flavor is good (I even think it could be a tad sweeter), but the texture was a but to dense for me to give it a full two thumbs up. I was so excited to eat the garlic herb roll the following morning, because it's aroma teased me the whole journey back from the bakery. I left it in the paper bag it came in overnight, but when I went to cut it open the next morning, it was hard. Like "can't-cut-it-with-a-knife" hard. I tried wrapping it in wet paper towel and microwaving it to steam it sorter, but that was precisely the worst thing to do because it only got harder and a little charred. Maybe I should have put the roll in the freezer right away or stored it in an airtight container. I was bummed I couldn't eat it, but I will definitely go back to The Red Bandana Bakery to give it another shot. 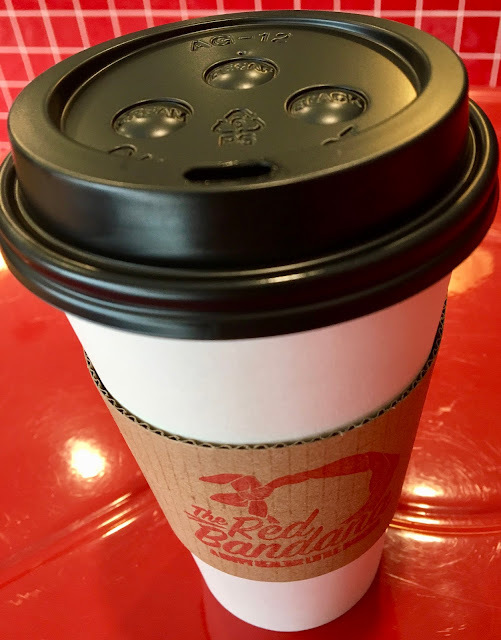 Overall, I had a good experience at The Red Bandana Bakery despite a couple of hiccups. The vibe is excellent and the food is good. 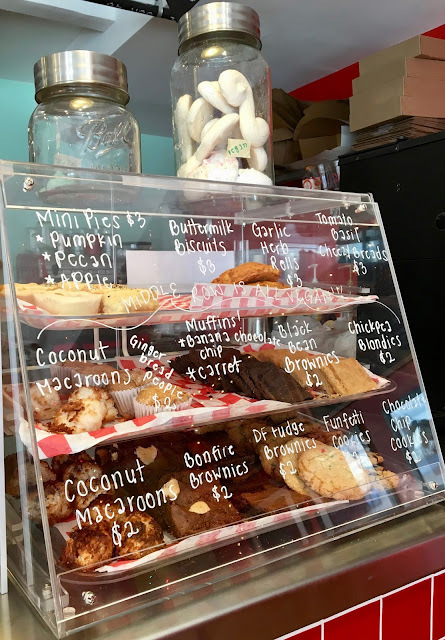 I am so happy DC has another dedicated gluten-free bakery in it's midst! The bakery's owner Jaimie, was welcoming, friendly, and accommodating, and it's clear she cares about ensuring everyone can treat themselves at the bakery. Places like this are truly rare, and it's always good to see them grow into a brick and mortar operation. Price: See breakfast/lunch prices here. Sweets vary in price but generally are $3-$5 each. Special Feature: Order online for local delivery right here. Order sweets to ship outside of the local area on their website here.